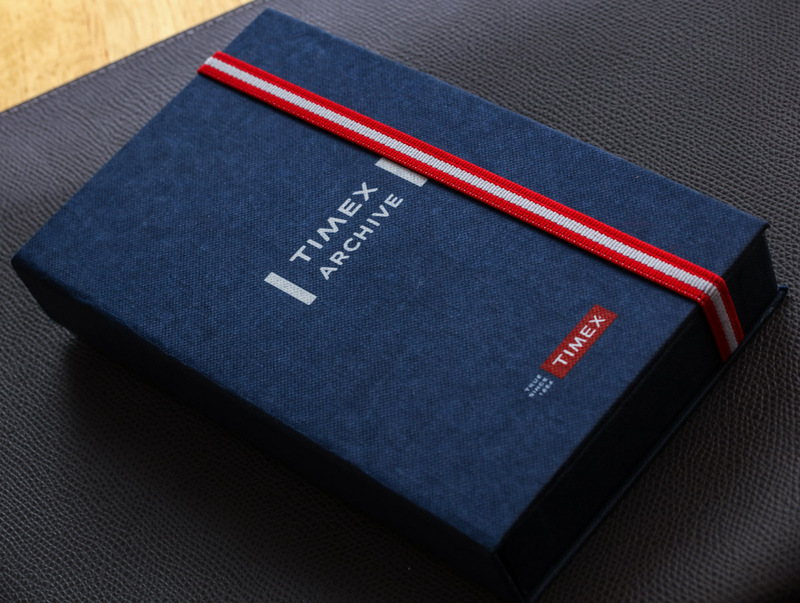 Reviewing the Timex Archive Collection Navi Ocean got me thinking about the oddly compelling reason for this Timex product to exist. 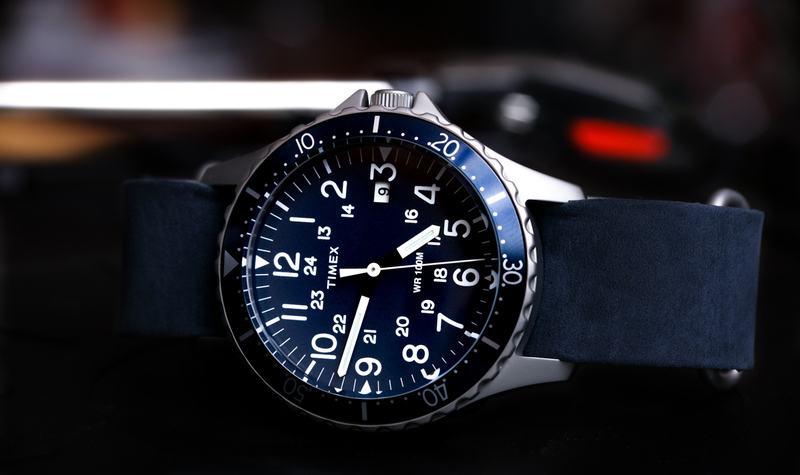 There is a lot of talk about military watches in the luxury timepiece industry. I hope that I’m not the only one who finds that rather ironic. 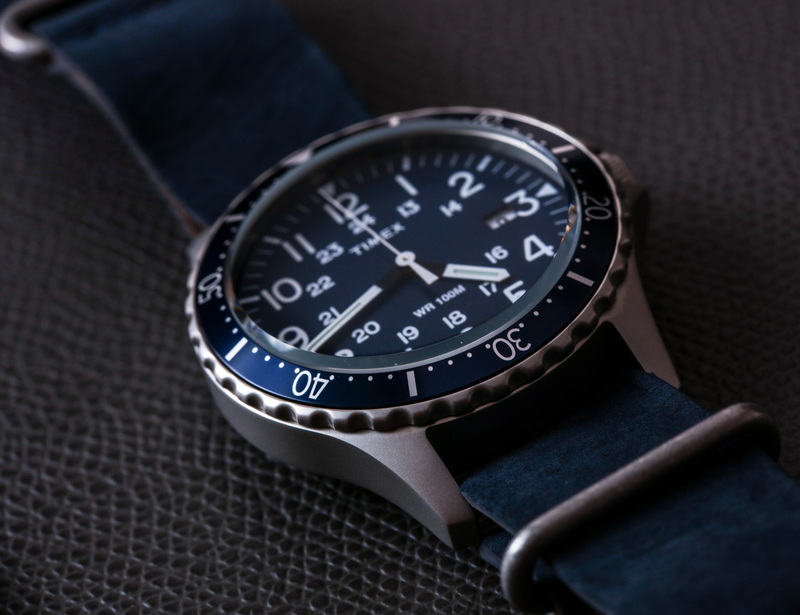 Timepieces made to be worn by soldiers were never meant to be luxury items. They were tools that allowed soldiers to be reliably on-time, and were meant to survive being put through… well, a war. 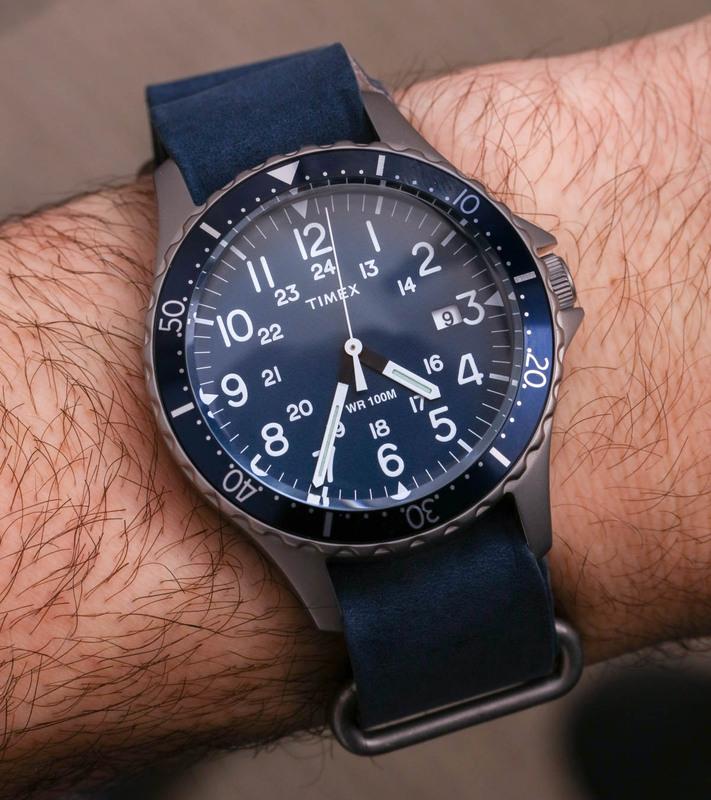 Military watches were as cheap as they could get away with being. 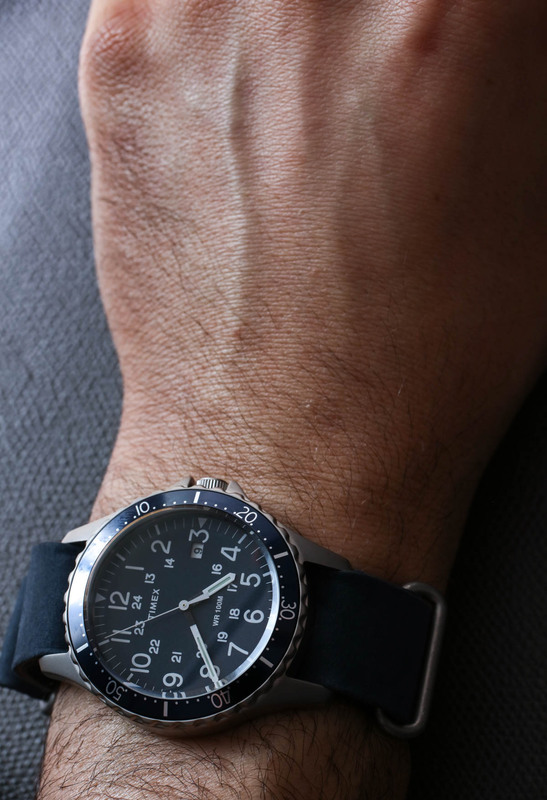 During the first and second world wars, most men received their first wristwatch when going to the military – where a watch was required. 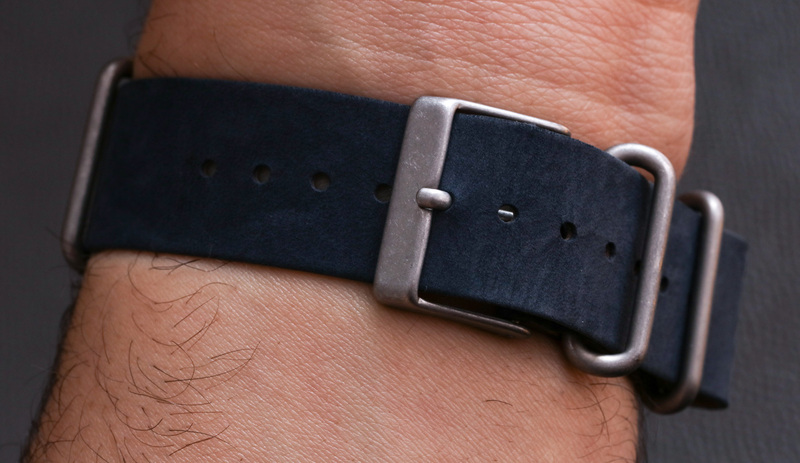 Even if it wasn’t their first watch, it was the watch they were wearing when they became men. These men would often continue wearing the watches they had while in some branch of the armed forces. 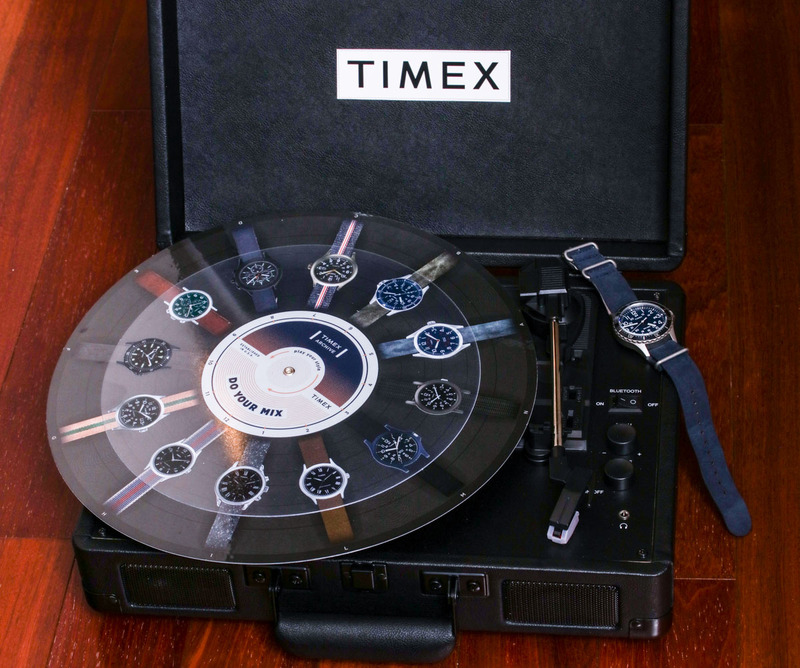 Thus, the watches took on great emotional and sentimental appeal and influenced the design tastes of an entire generation of consumers. 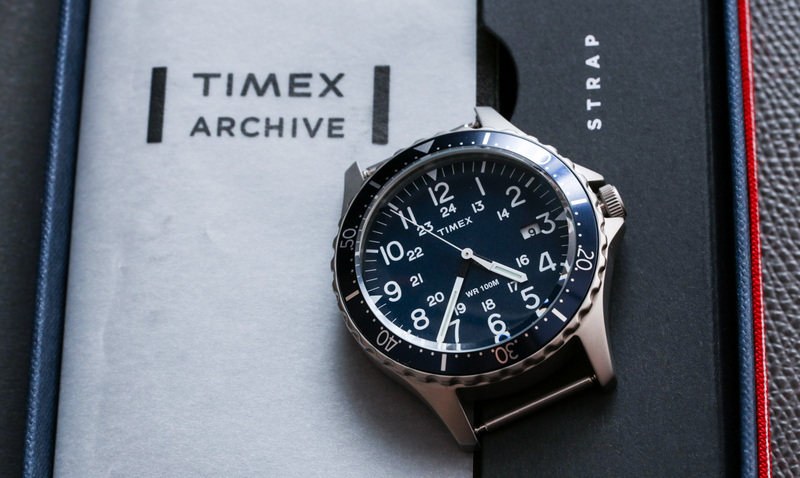 This Timex Navi Ocean does not necessarily resemble any one particular historic military watch – but like other Timex products is a wonderfully well-valued contemporary rendition of what a classic military watch should be. A product like this feels like something you should purchase at a military surplus store. 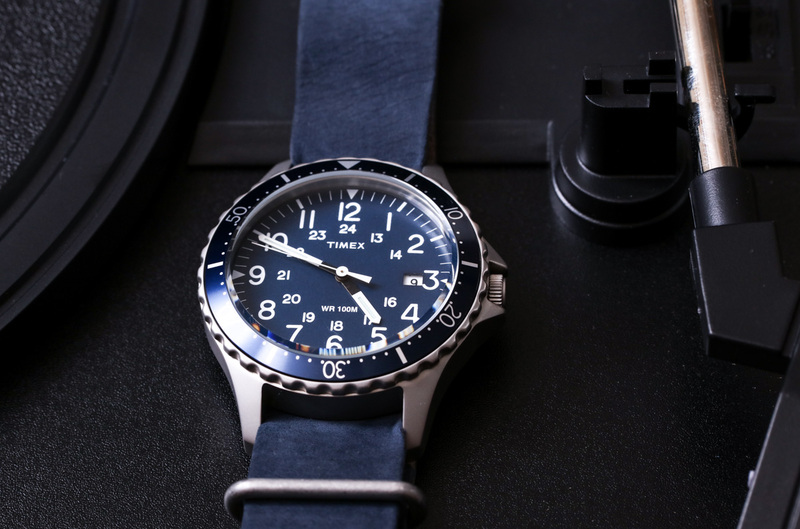 Timex’s creative team got so much correct in terms of the case finishing, dial texture, and overall design. 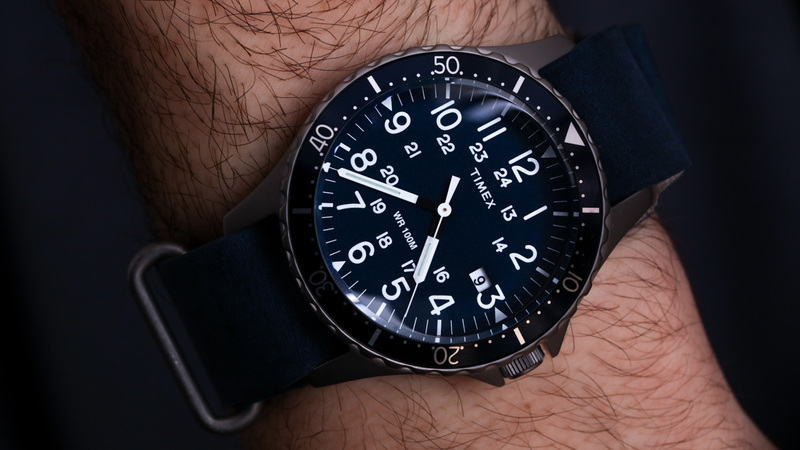 These are the best military costume prop watches you can buy – and along with their other similar “classic military” design watches, Timex corners the market in this space. 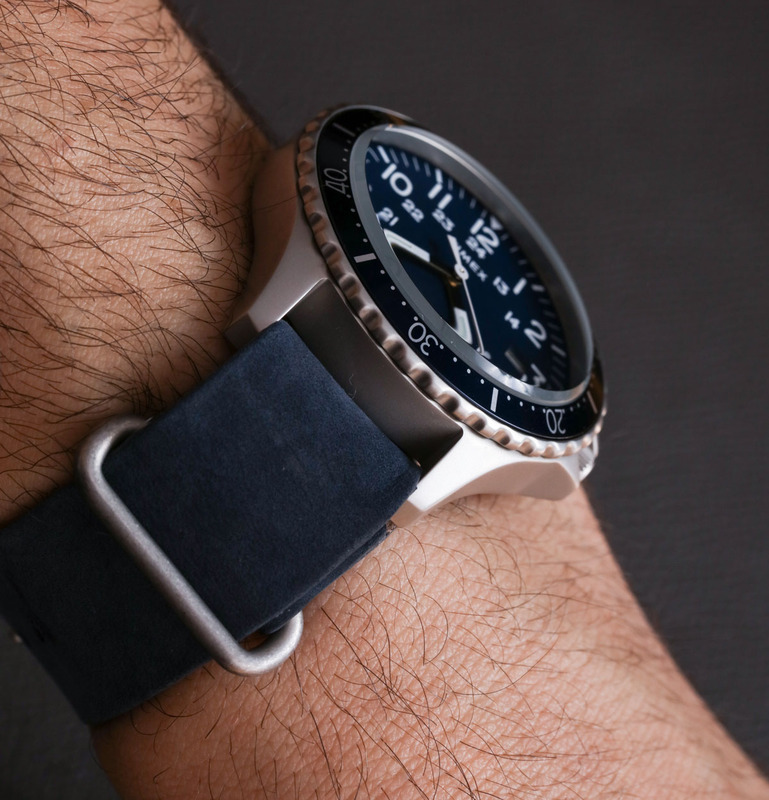 At 38mm wide in steel (done in a sort of satin finish and with 100m of water resistance), this is a modestly-sized diver’s-style sports watch with a vintage flair to it. 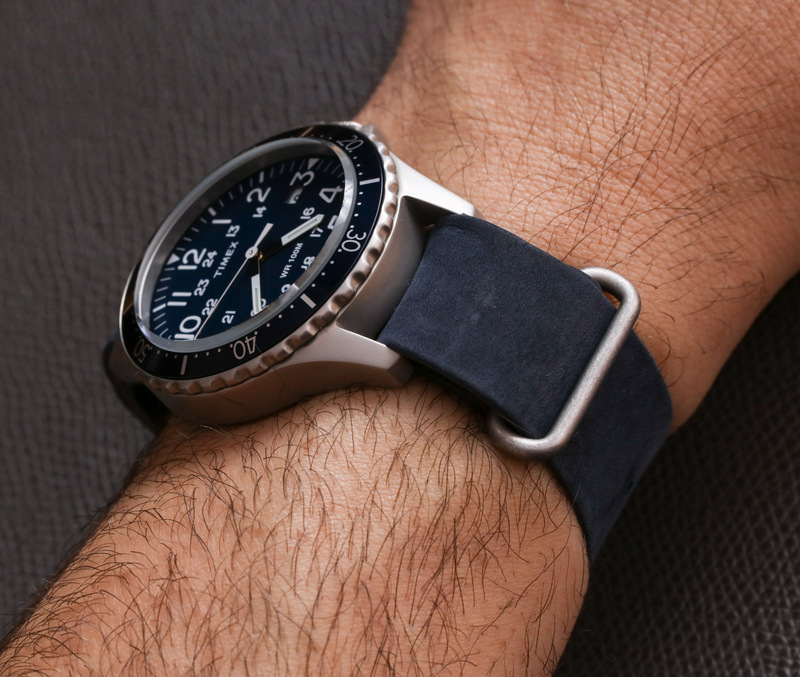 Guys seeking “medium-sized” watches will be right at home here. 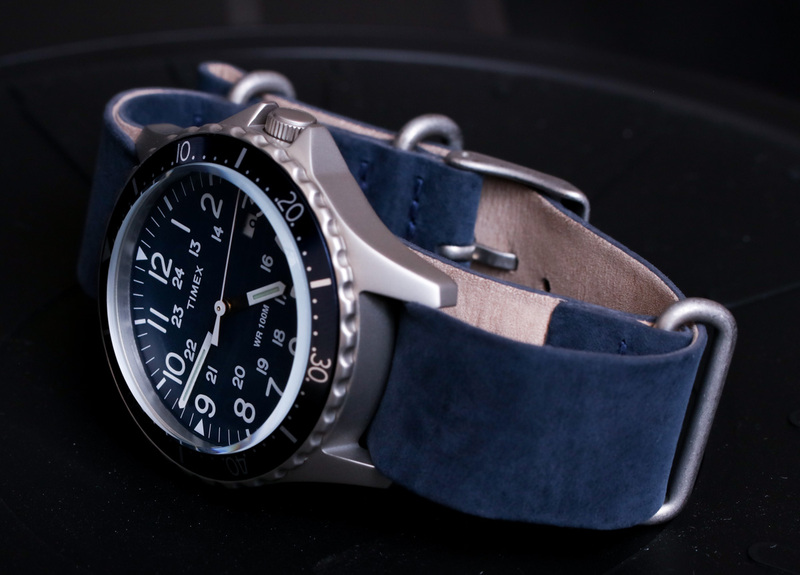 Though people who find smaller watches to be lacking might consider the Navi Ocean a bit on the petite side. 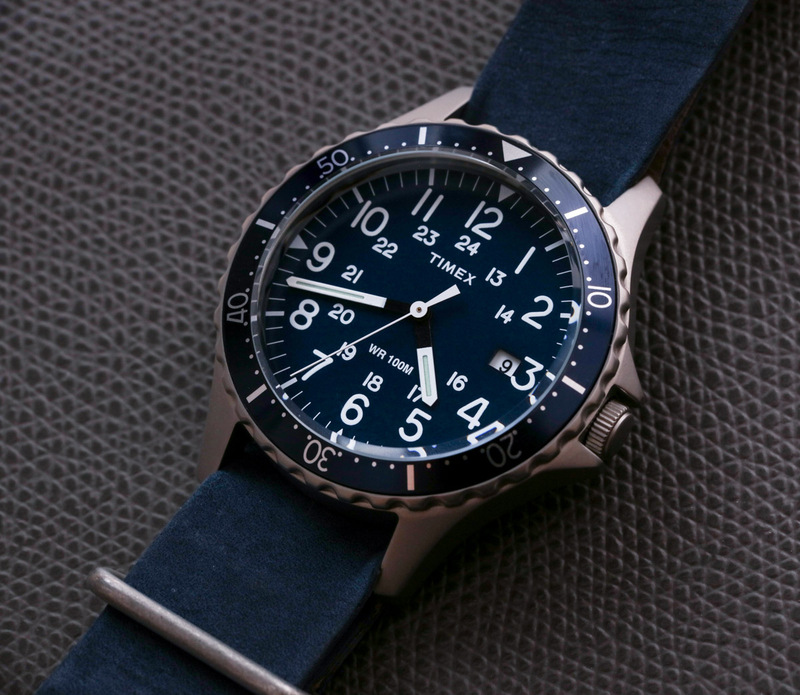 Timex does however produce larger military-style watches up to 43mm wide. 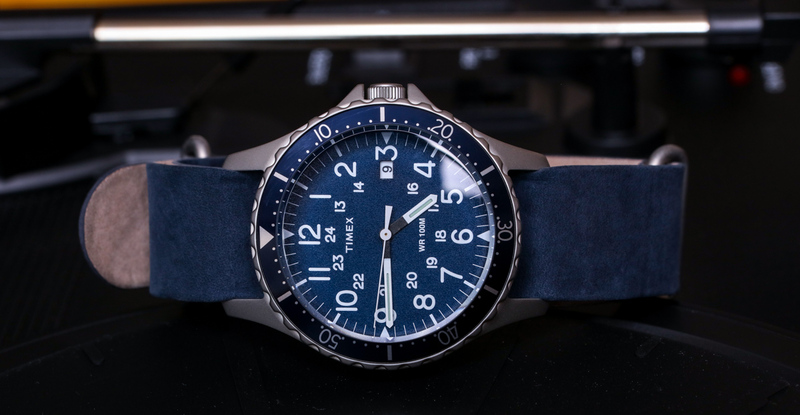 Personally, I think Timex should consider making a 40 or 41mm wide version of the Navi Ocean also with a rotating bezel and at least 100m of water resistance with a slightly different dial. I say this because I think there are a lot of guys who would wear a slightly larger model that would feel just right to them given the theme of this product. 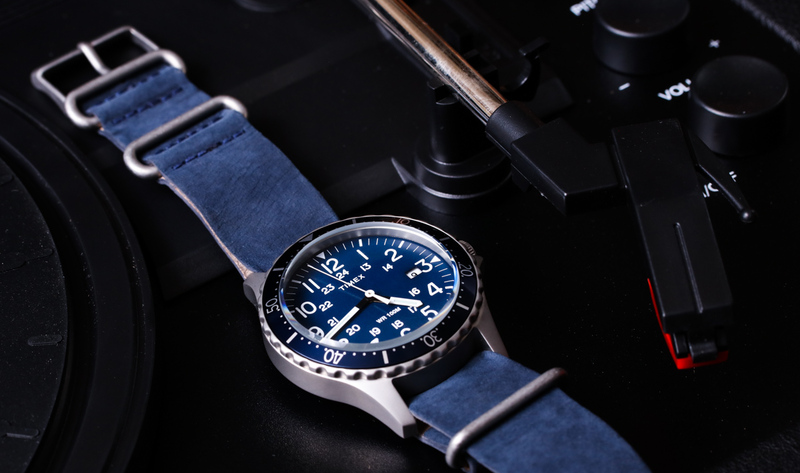 Tool watch lovers will appreciate the high legibility and functional dial design. 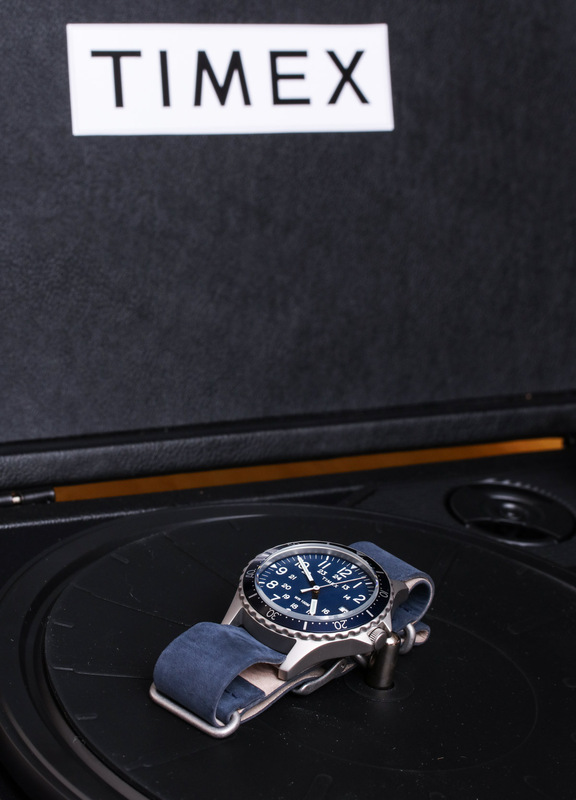 It is also uncommon to find sport watches like this with Arabic numeral hour markers. 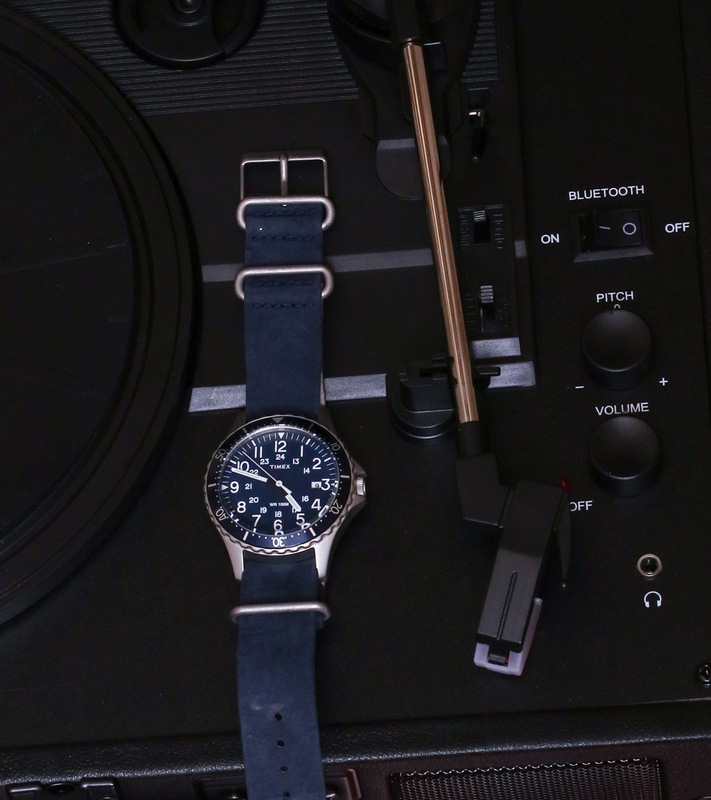 The dial even has a ring for military time. 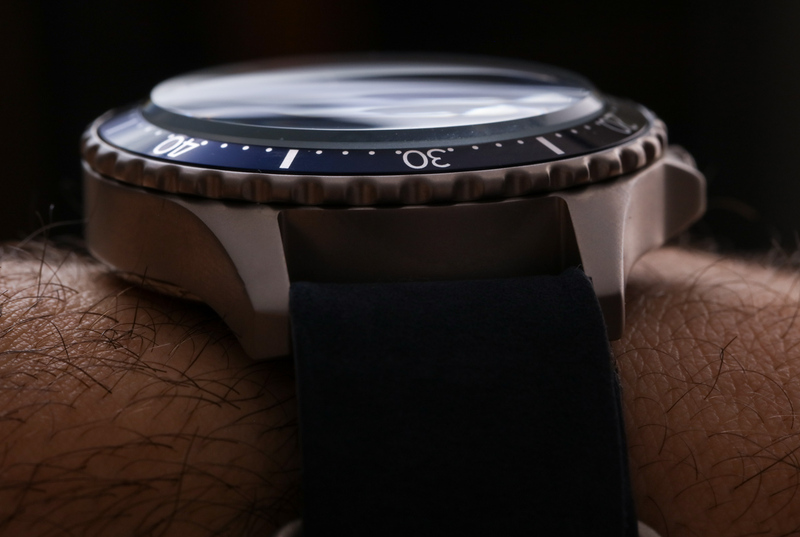 Hands look like handsome cousins of those on the Omega Speedmaster Professional Moonwatch. At these prices I am sure the luminant is nothing to be amazed by, but it’s there on the hands and hour markers. 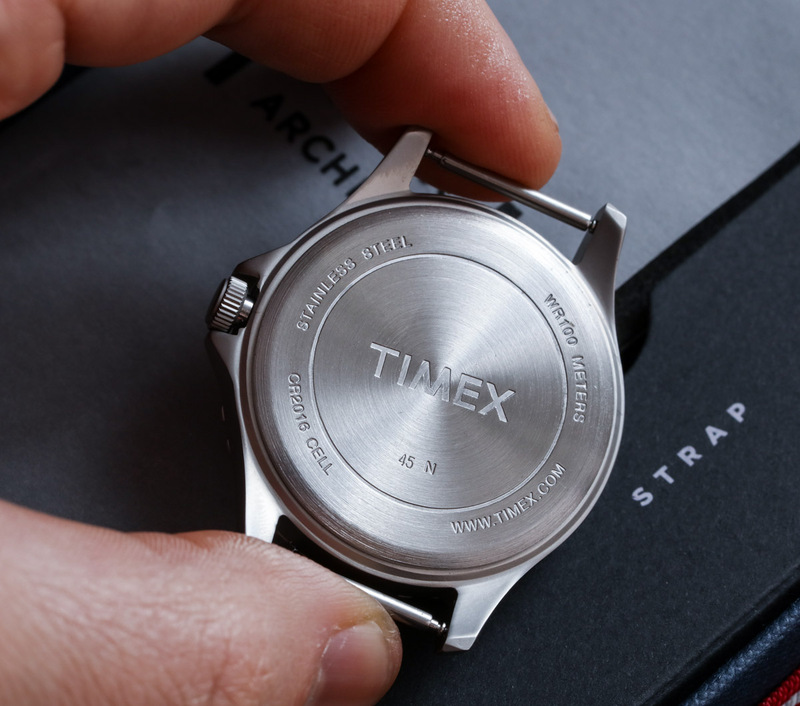 Design lovers will also appreciate the overall restraint in terms of text on the dial and how well Timex’s Milan design team mastered the task of making a brand new budget-priced watch that felt like it could be perfectly at home if sold in 1960. 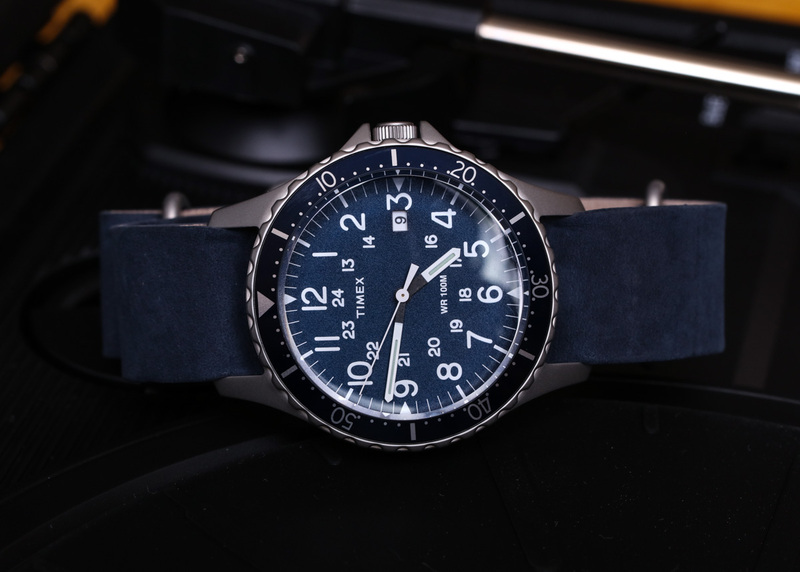 Around the thick mineral crystal, the rotating bezel has a unique look to it and features an elapsed time scale. The crown is protected by crown-guards, which was appreciated by soldiers who broke watches by snagging the crown on things in tight quarters. Inside the watch is a quartz movement (time plus date complication) that is thankfully muffled by the case. 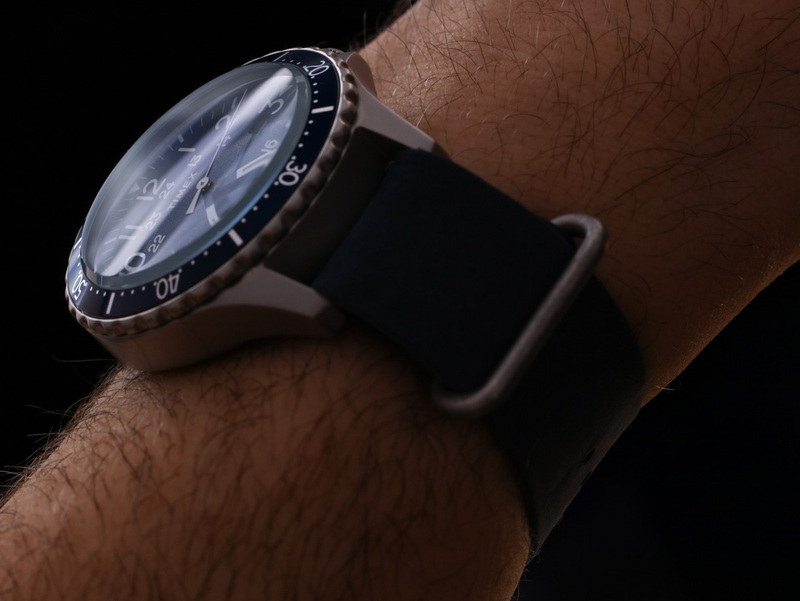 I’m not a fan of loud-ticking watches, and some cheaper watches with plastic cases tick annoyingly. 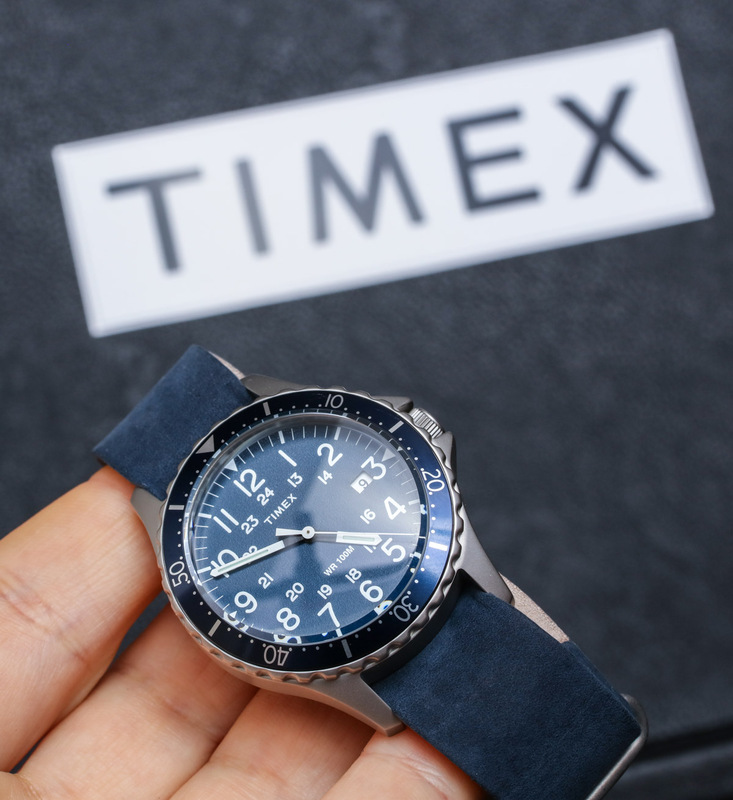 I don’t recall having that issue with the Timex Navi Ocean. 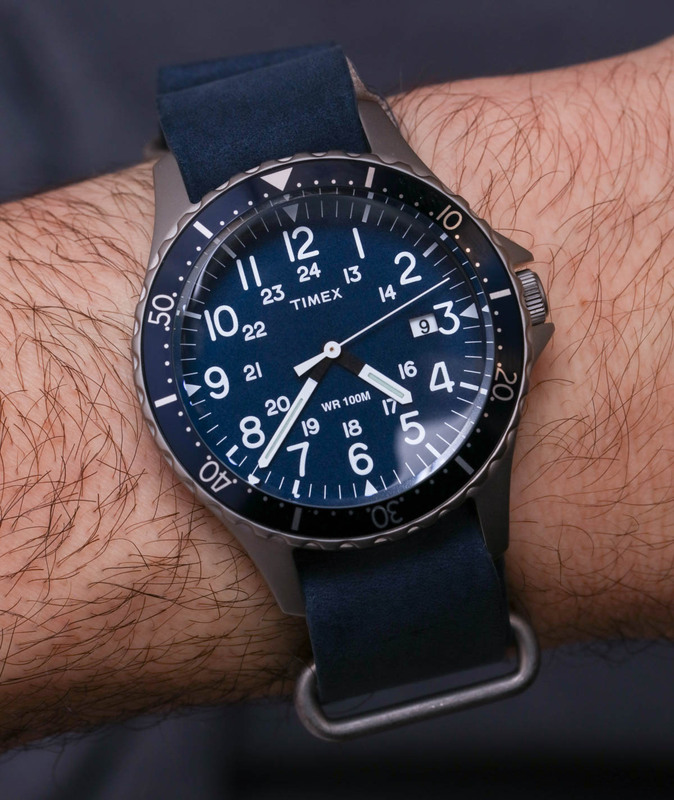 Although, some cheaper Timex models I have experienced do audibly tick. 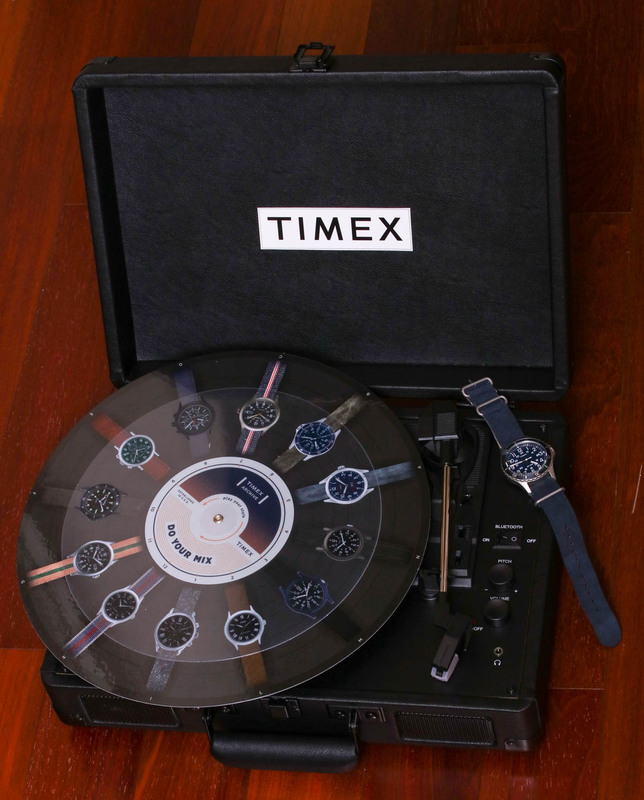 The movement is made by Timex via their manufacture facility in the Philippines. 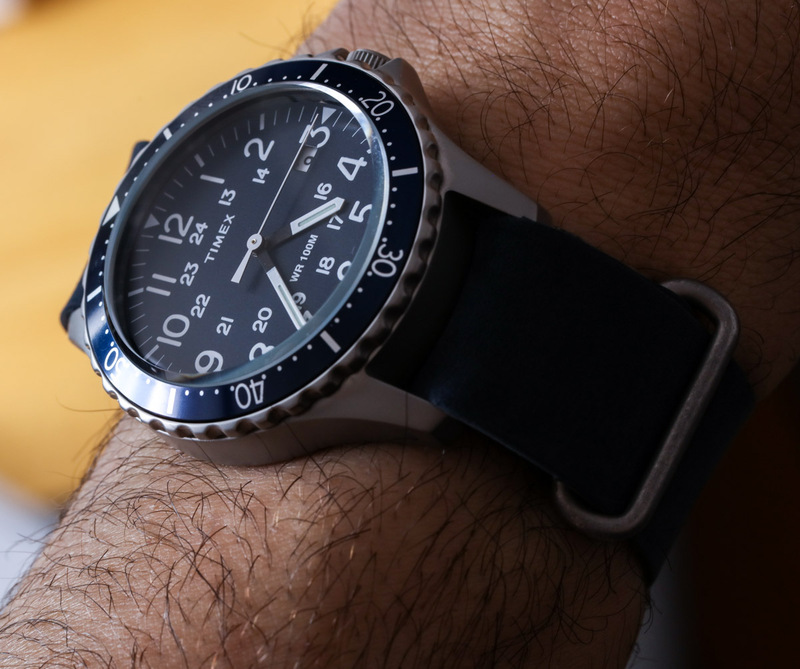 If there was a watch made today that would feasibly be issued to soldiers 50 years ago, then the Timex Navi Ocean and its colleague products would be a great option. I have a feeling that means they are probably big in Japan. 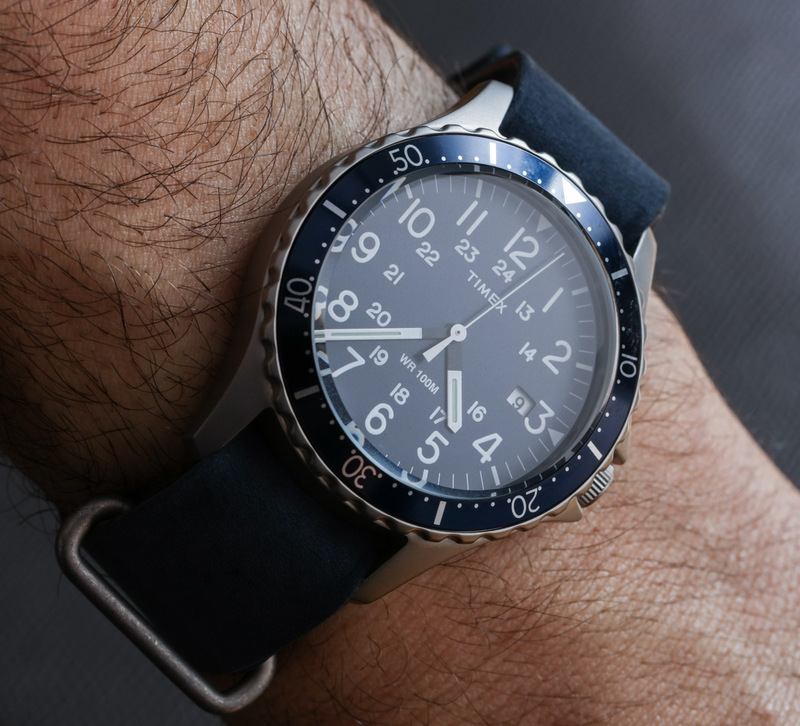 In all seriousness, if you want a military-style beater watch, which isn’t at all ugly, and isn’t going to cost a lot, then have a look at these – especially if you prefer more modestly-sized sports watches.